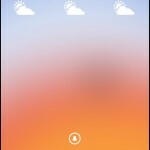 Solar - Weather has never been cooler ($0.99) by Hollr, Inc. is a beautiful new way to view the weather. 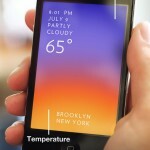 It seems that weather apps have been the hot thing lately, and it doesn't seem to be cooling down anytime soon. 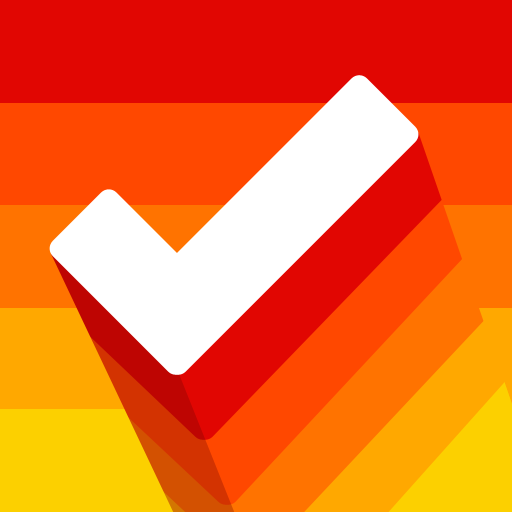 I'm a sucker for beautiful apps, and when I first heard about Solar, I knew I had to check it out. My immediate impression was simply "wow." 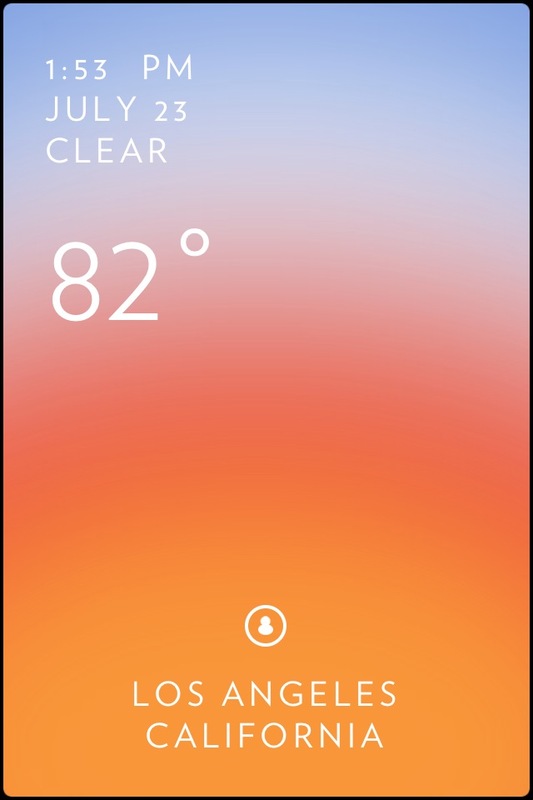 Solar definitely has some Clear-inspired interface elements about it, and personally, I find it to be a welcome change from your typical weather apps, such as The Weather Channel. 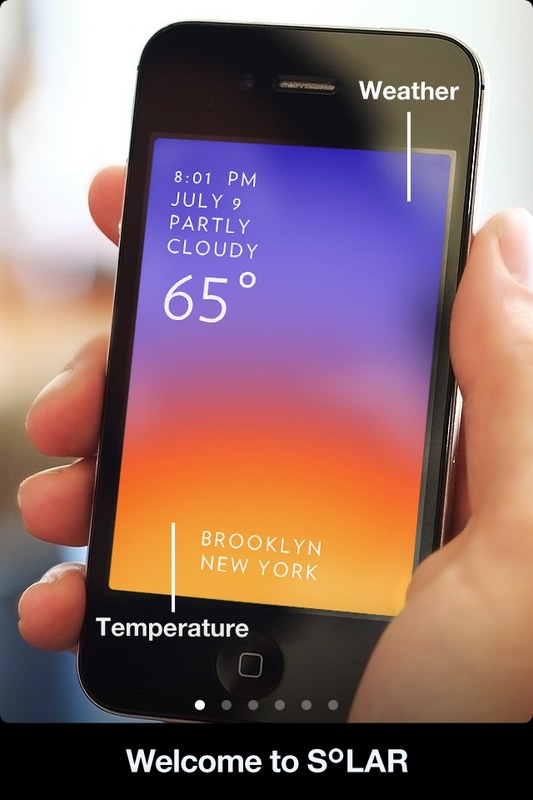 The end result is a weather app that is beautiful to look at but fully functional as well. As you launch the app, a short tutorial will guide you on the gestures that you need to know. Once that’s done, you’ll be ready to dive into Solar. 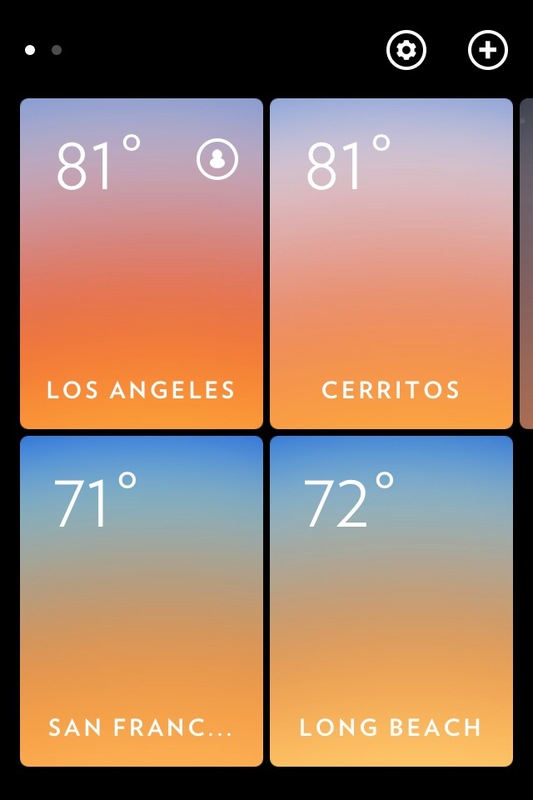 The first thing the app will do is prompt you for your location, which is handy if you want to be in-the-know of the temperature no matter where you go. 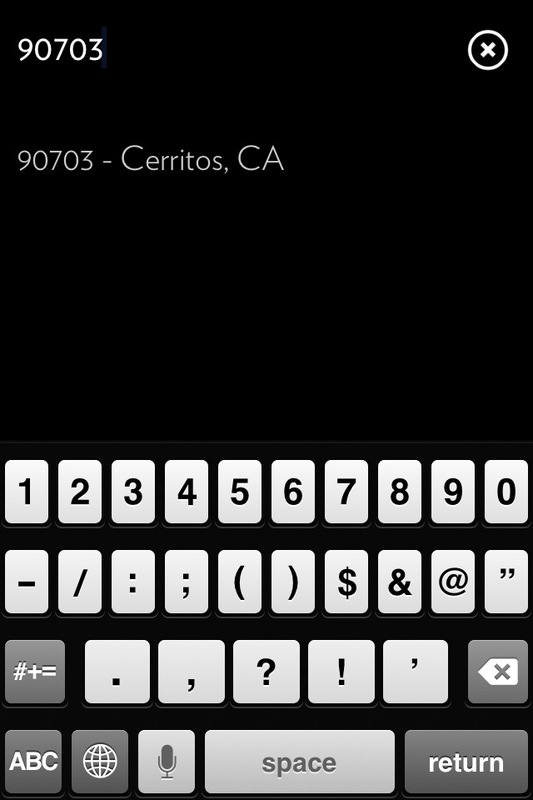 If you would rather add locations in manually, you can do that too by swiping to the right. Just search for a locale by name or zip code — results will appear in real-time. 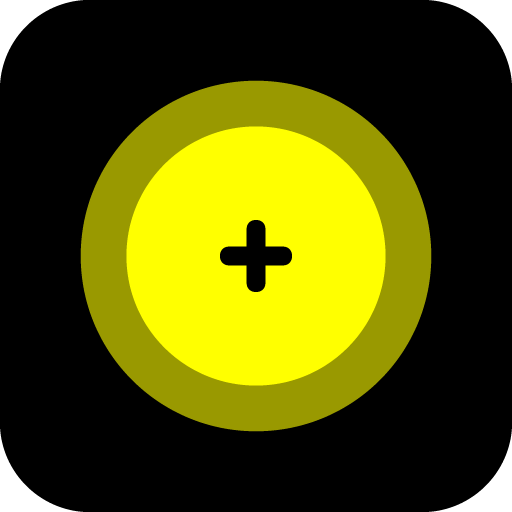 When you have multiple locations added, including the current location, you can easily navigate between them with swipe gestures. 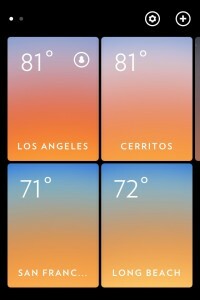 When viewing a spot’s weather, you are able to see the current time, date, condition, and temperature atop a colored background that represents the weather. 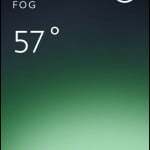 I found this to be a pleasure to look at, and there are even very subtle animations with the colors to make it seem to be “alive.” Given appropriate circumstances, the app will have flashy weather animations to go along with the conditions, such as thunderstorms (rain and flashing on the screen). 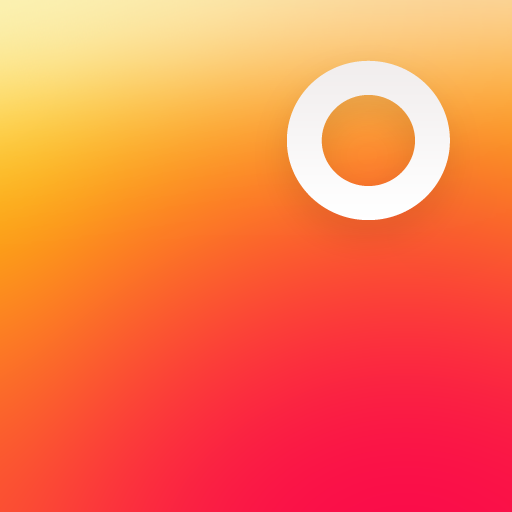 Solar has an unsophisticated design, but it makes the app pop and stand above the competition. You can even tap on the screen to hide all of the text, and just watch the colors artfully dance. If there could only be one reason why I will keep this app on my phone, this is it. If you pull down on the screen, you will see the forecast for the next three days. 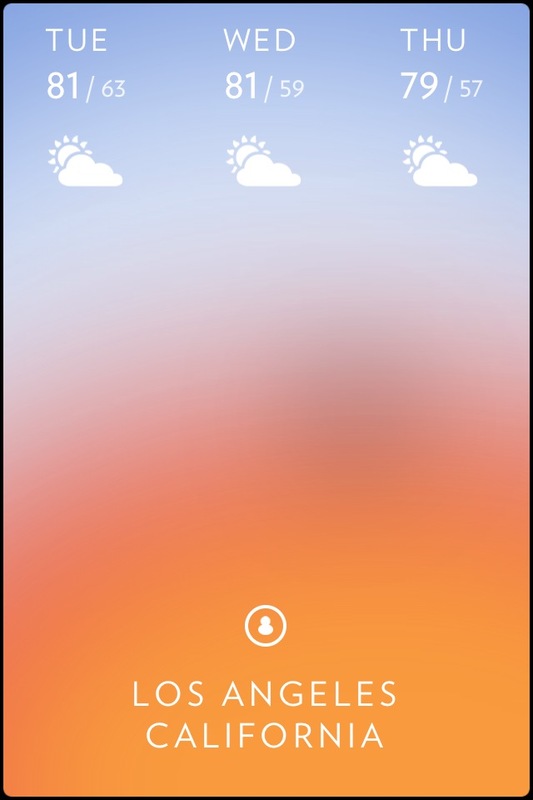 If you pull up on the screen, you are able to “fast forward” and see what the weather will be like for the next 24-hours (down to every minute). Background colors will change accordingly, and it will look pretty amazing if you do it quickly. Seeing the clock spin around is also a nice touch. 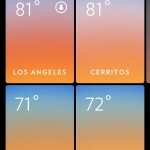 Performing a double-tap or pinch gesture will allow you to view all of your locations at once, in groups of four cards at a time. You can tap-and-hold to put them in the “jiggly mode” for rearranging. 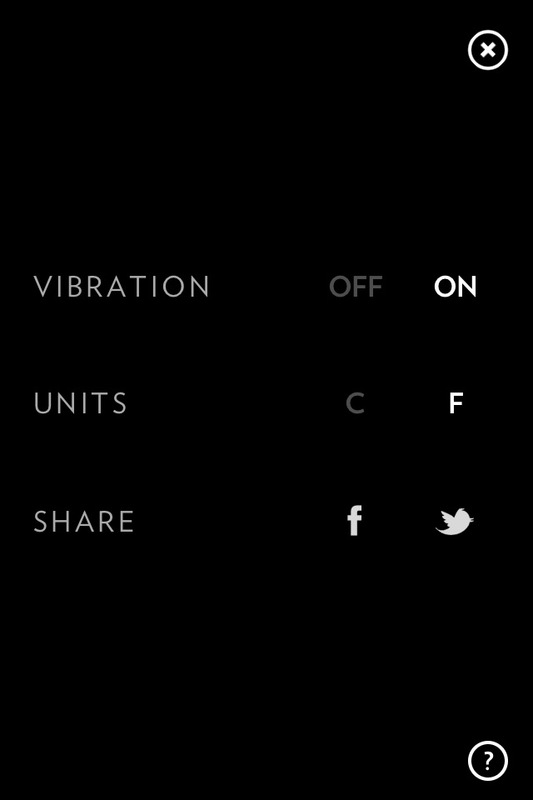 Settings can be accessed from this view as well, where you can toggle the vibration, choose between celsius or fahrenheit units, and even share your weather through Facebook and Twitter. 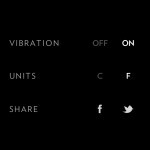 It seems that gestures have been extremely popular after Clear was introduced, and it's no surprise why — the ones used in Solar are incredibly intuitive and user-friendly, and it makes sense, unlike other apps. I’m absolutely in love with Solar, and will be using it as my main iPhone weather app for the time being. It’s drop-dead gorgeous on my iPhone 4S and provides only the information I need to know. 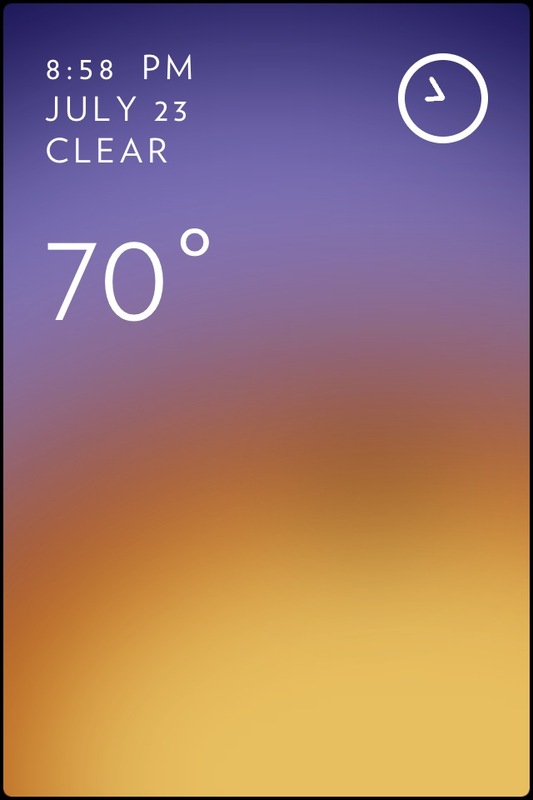 The only problem I have had with it so far is that the degrees seem to be a bit off with what the stock weather widget tells me. But does being a few degrees off really matter? 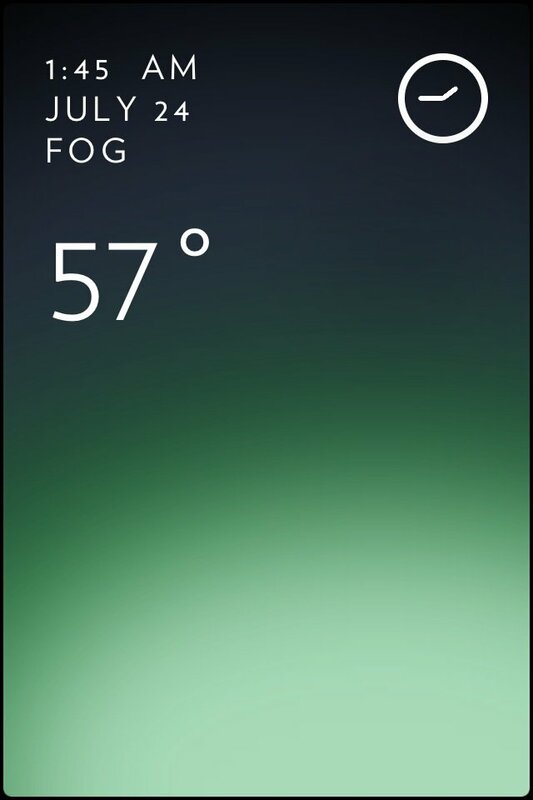 I just need to get an idea of what it is like outside. Are you going to give Solar a try? 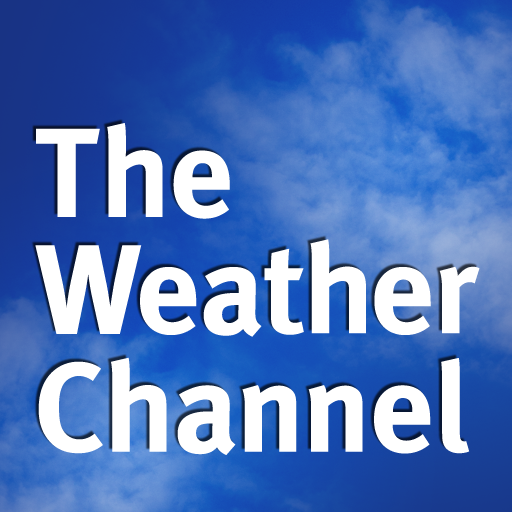 What are you currently using for all you weather needs? 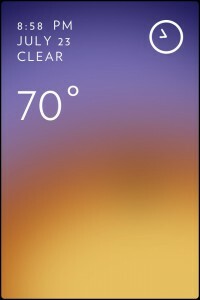 For other weather options, make sure to check out our Best iPhone Weather Apps Guide.